Slendershot Review | Buy or a Scam? First published Jan 22, 2019. 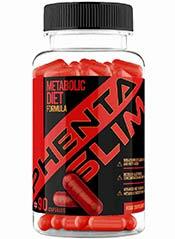 Weight loss supplements have become so popular that they now come in all kinds of forms. As well as the usual capsules or powders, manufacturers now present fat burners in the form of patches, drink shots, or even skin creams and beauty products. But do these unusual delivery mechanisms actually work? Below we take an in-depth look into Slendershot, to see whether this pre-meal weight loss shot actually works as well as normal weight loss capsules. Slendershot is an unusual weight loss product that comes in the form of drinkable “shots”. Customers are invited to drink one before eating once a day, and are told to expect a range of benefits, including weight loss, a better mood, and more energy. Slendershot is also described as having a detox effect, although the actual toxins that are supposedly expelled are never specified. What Are The Side Effects Of Slendershot? Although there aren’t too many customer reviews for Slendershot online, many of those that we have seen complain of side effects like nausea, bloating, diarrhoea, and more. Some of the ingredients found in this product may also cause sleep problems and headaches. How Much Does Slendershot Cost? On the official Slendershot website and on the Holland & Barret webstore, a 28-day pack of Slendershot costs a standard price of £29.99. Customers can find the same pack for slightly cheaper on Amazon, where it costs £25.86. On the official Slendershot website, a 14-day pack is also available for £19.99, as well as a 3-month pack (with free shaker and detox plan) for £69.95. For us, seeing the word “detox” is always a big red flag, because it immediately tells us that the seller isn’t really promising anything other than vaguely defined nonsense. A more detailed look at Slendershot shows it to be nothing more than that. Like most other junk products, Slendershot packs in a long list of ingredients into a tiny tube, most of which are thought to be ineffective. Although the manufacturer fails to list ingredient quantities, the bits of information we can see suggests that minuscule quantities of each ingredient seem to have been included, rendering the whole mix pretty useless. The selection of ingredients is also strange; to us, the manufacturer appears to have just slapped dozens of random ingredients together with no rhyme or reason. Slendershot is not a very popular product and has attracted relatively little buzz and very few customer comments online. Those that are available to read tend to be highly mixed, with a surprising number of customers complaining of side effects. Those dissatisfied with their purchase are out of luck, as the manufacturer offers nothing in the way of a money-back guarantee. The idea of a weight loss “shot” sounds fun, but the execution just results in a silly and ineffective gimmick. Overall, we do not recommend Slendershot to our readers. Slendershot is a weight loss drink that is designed to be taken as a “shot” before eating. The product is sold in the form of small red test tubes, and contain a mixture of water, sweetener, and weight loss herbs and amino acids. All packets of Slendershot are vegan and vegetarian-friendly. This product is manufactured by a UK-based company that also appears to be named Slendershot. 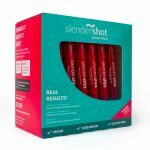 Slendershot only promotes the product for which they are named, and so far only endeavour to sell it online (although they hope to bring Slendershot into high street stores “soon”). The small company already recruits distributors and has partnered with athletes and TV presenters to sell their flagship product. 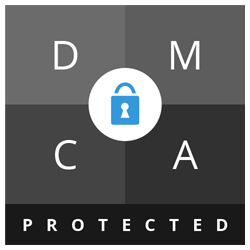 The company can be contacted by email ([email protected]) or via the contact form provided on their official website. Simply take one shot per day, 30-60 minutes before eating – morning, afternoon or night over 28 days! What Does Slendershot Claim To Do? The manufacturers claim that Slendershot helps customers to detox and achieve their weight loss goals. The various ingredients found within the mix are variably said to boost the metabolism, burn fat, and reliably “put a spring in your step”. The formula is also said to act as a good source of antioxidants, which will reportedly “restore health” and provide a burst of energy. The manufacturers also claim to have added a “mood enhancing” formula that can effectively combat street and boost the immune system. Slendershot packs in a wide variety of seemingly random supplement ingredients in each tiny tube. 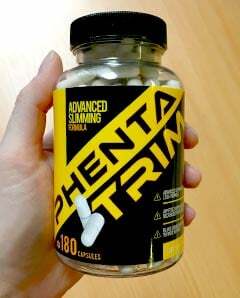 The various properties expected of the ingredients contained in this product range from having laxative effects, fat binding, suppressing appetite, inducing relaxation, and more. However, having dozens of ingredients is rarely a good thing. The manufacturers fail to disclose ingredient quantities, but a trained eye can see that the quantitative extraction ratios and percentages that are quoted are laughable, telling us that the dosages are likely to be pathetically small. In essence, Slendershot appears to be little more than water with specks of various useful ingredients sprinkled in as an afterthought. We wouldn’t expect this product to have any effect. What Are The Ingredients of Slendershot? The ingredients found in Slendershot are listed below. Unfortunately, the manufacturer fails to list proper ingredient quantities, which makes it impossible for customers to estimate how effective the overall mix is. 5-Hydroxytryptophan (5HTP) 0.10%: 5HTP is used by the body to make serotonin, which primarily plays a role in regulating mood. Some studies, primarily in animals, have shown that 5HTP reduces the appetite, as well as boosting mood. Does Slendershot Have Any Side Effects? Although the majority of the ingredients seem to be under-dosed, this product may still cause side effects (which some customers have complained of). Some of the natural ingredients found in this product (such as garcinia cambogia, acerola extract, and prickly pear) can cause mild side effects such as diarrhoea, stomach cramps, sleep problems, headaches, and bloating. Laxatives like aloe vera may also cause more frequent bathroom visits. Potential side effects of Siberian Ginseng include drowsiness, changes in heart rhythm, sadness, anxiety, muscle spasms, and, when used in high doses, and increased blood pressure. Are There Any Customer Reviews For Slendershot? We weren’t able to find too many customer reviews discussing Slendershot online, although the few we did spot were decidedly mixed. A surprising number of customers complained of side effects. I put on more weight! I quite liked these and didn’t have any adverse effects. I definitely ate less whilst taking these and slimmed down a little. I would guess maybe a 3 or 4lbs in a month, but can’t say for sure as I didn’t weigh myself. Does Slendershot Offer a Money-Back Guarantee? On their official website, Slendershot explicitly states that they do not offer a money-back guarantee. Customers may be able to return unwanted products as long as they are in a re-saleable state, but the company won’t accept returns simply because customers are dissatisfied. Where Can I Buy Slendershot? Slendershot is available to buy on the manufacturer’s website, Amazon, and Holland & Barrett. Although all prices are quoted in pound sterling, the manufacturer can also arrange for international shipping if desired. 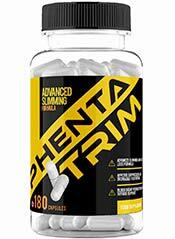 How does Slendershot compare to Phentatrim? The Diet Pills Watchdog does not recommend Slendershot.